With one of the biggest auto industry events in South Korea kicking off this week, the spotlight of the 2018 Busan International Motor Show will be on the world premiere of Mercedes-Benz’s EQ model and Hyundai Motors’ large sport utility vehicle concept. 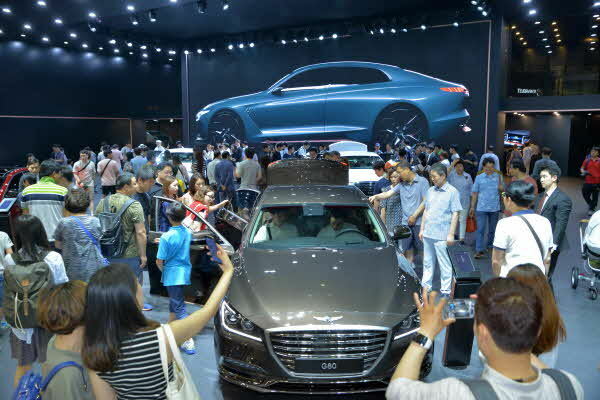 Held under the slogan “Beyond Innovation, Into the Future” the 10-day event opens Friday and runs through June 17 in the southeastern port city of Busan, with some 15 automakers displaying over 200 models, event organizer Busan Exhibition & Convention Center said Wednesday. Reflecting the latest boom in the global auto industry, automakers will boast sport utility vehicles and eco-friendly cars at the event. The Busan International Motor Show is held every other year, alternating with the Seoul Motor Show. German luxury automaker Mercedes-Benz has announced that the event will serve as the world premiere of a model that is part of its recently established electric car brand EQ. Details of the model will be disclosed at the press day. There are high market expectations for it to be a SUV. The GLC 350e 4MATIC midsize plug-in hybrid SUV was the first EQ model to be introduced here earlier this year. As part of continued efforts to catch up with the SUV trend, Hyundai Motor will showcase a large SUV concept in Busan, the company said. Hyundai confirmed the model to be unveiled will not be the eight-seater SUV scheduled for release in the second half of this year. Joining Hyundai’s auto show lineup are the face-lifted Tucson small SUV and i40 wagon, alongside the high performance Veloster N, i20 WRC and fuel cell electric vehicles Nexo SUV and Kona EV, among others. GM Korea and Audi Korea have also arranged events and their own official press day to maximize exposure for their vehicles’ boosted performance and brand awareness. Following the release of the new Spark compact car last month, GM Korea is seeking to turnaround sales with the Chevrolet Equinox midsize SUV it will showcase at the motor show, the company said. Rivaling Hyundai’s Santa Fe, which currently tops the mid SUV segment here, Equinox is an essential product for GM Korea that is starting to show signs of sales recovery. After skipping motor shows in Korea for two years, Audi Korea will exhibit 11 models, including three concept cars, and showcase for the first time here the A8 flagship sedan, Q5 SUV, its smallest compact SUV Q2 and the TT RS coupe. BMW Korea, the second-best-selling foreign automaker here, has in store six models set to debut here, including an open-top plug-in hybrid sports car dubbed the i8 Roadster, the company said. 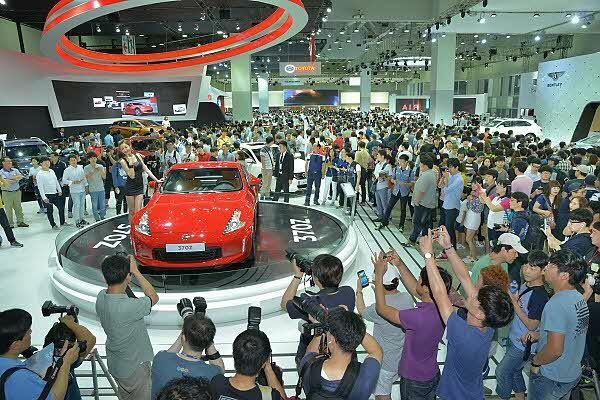 This year’s show in Busan will be open for visitors from June 8-17, hosting various events such as test drives, a radio-controlled car race and camping car show. Details can be found at the official website: www.bimos.co.kr.